@Loay209 I'll try to PM you if I'm interest on your texture. You can use edit button to edit your previous post, so you won't double post. Sorry for a very long update of Switch Protagonist BETA 2. I will give some screenshots but not a video as usual because my internet connection. - Switch character when near is now updated, it will be much faster. - Switch character when NPC character are in the same car with current character. 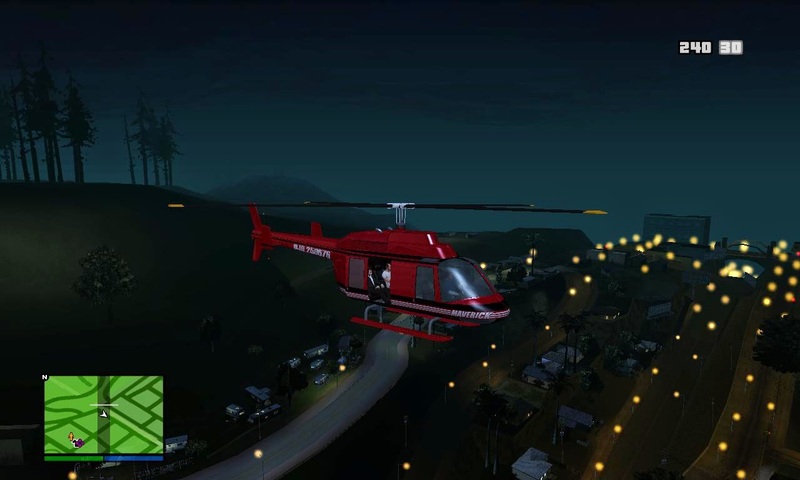 - Player can do drive by if player in the passenger seat. - Places to change Franklin and Trevor's clothes are marked on the map. One note from me, don't quote the whole post please. Thanks. Why not using Franklin ability for CJ? Ok. But still want to use more than one player.img! I can't script in that way. But that doesn't mean it's impossible. Anyway, I'll try SuperVars to get work on this. Besides, I want the switching more realistic as possible. Currently I'm planning switching while player using flying vehicle (heli). 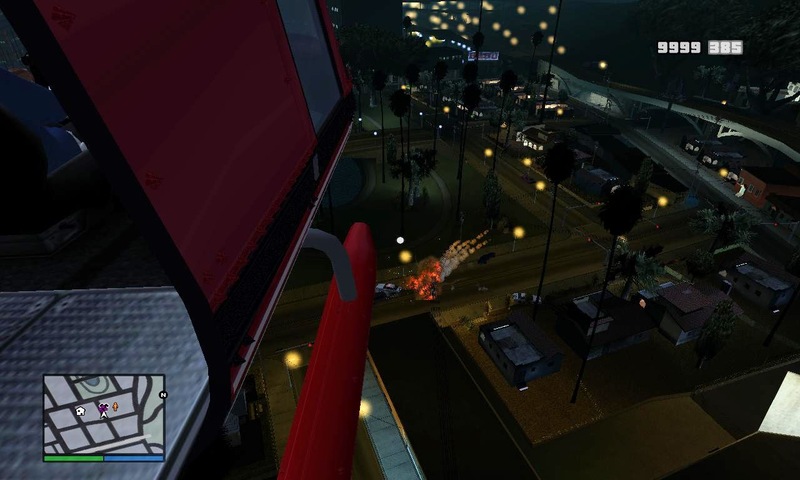 And if there's another NPC character in the heli, you can switch to him and do turret mode. What are the versions available for download? BETA 1 is available. Next version is BETA 2 with some fixes and new features. Some updates! 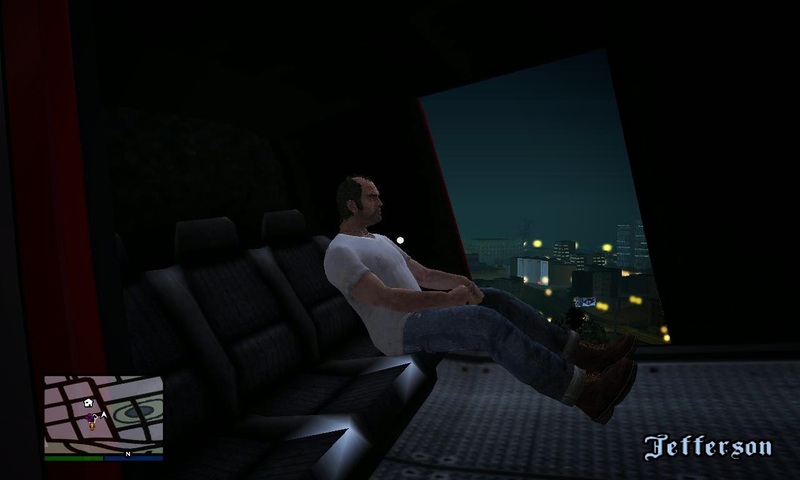 I already include turret mode if player is on passenger seat while in helicopter. Mod might be released at start of June. Check out first thread to see the new video preview! Now, the textures of player wheel is more HQ. Thanks to Loay209 he convert it. The progress of this mod is going very good! Wishing you all the best for an award in GTAFAA2014! And some updates on "clothing system" for Franklin and Trevor. I've made them up to 9 different skin models for each characters. Nice! It'd be cool to see some of the other clothes as well, but are you planning to do this for Cesar and Sweet when you begin to work on them? Thanks. I think I will include clothing system to GTA SA version of this modification. The mod would be released this week (I hope). Will the clothing system looks like thin in GTA LCS and VCS? I never seen GTA LCS and VCS clothing system before. Can you give an example? Pretty much like that, as we can see on the screenshots (spoiler tag). But the player must pay for the clothes like 'buying'. Sorry for double post, BETA 2 released on GTAGarage! I make a little update like configurable (slow motion) sound volume in INI file. It's useful for those who plays with earphone. I Can't Change The Arrow Keys Because My 2 Arrows It's Damage. Have you read the ReadMe file yet? It doesn't need arrows to switch the character, use mouse scroll or Q (previous weapon) and E (next weapon) key to view the other character. Can you tell more specific? Where condition? Is it while using player wheel, before switching or after switching? Sorry That Is In The Beta 1. I Never Play GTA V But I'm Try To Find It. So, did you get it works? Thanks, I'm open to correct bugs/crash. If you had that things, please let me know.